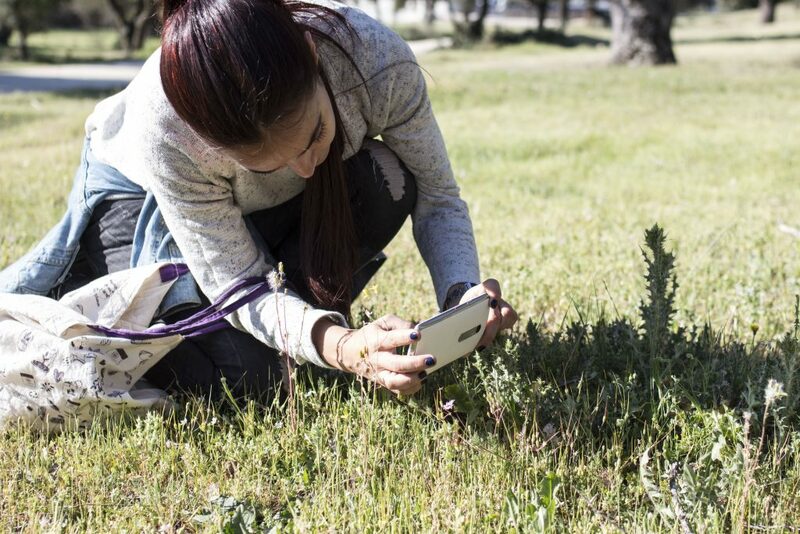 On April 20, a BioBlitz was held in Monte de Boadilla, in the municipality of Boadilla del Monte (Madrid), with more than 40 high school students from the IES Isaac Albéniz de Leganés (Madrid). A BioBlitz is an intensive biological survey to record all living species within a given area and over a specific period of time (usually 24 hours). In support of GBIF.ES, members of the Association for the Recovery of the Native Forest (ARBA) and a representative of MediaLab Prado (Madrid City Council) participated in the organization of the activity. This action is part of the Natusfera’s Monte de Boadilla project, created with the aim of increasing the knowledge of the biodiversity of this holm oak, protected and surrounded by urban areas, but that still preserves a good representation of its characteristic species. The active community of Natusfera is already confirming and identifying the species observed, which will encourage the students and teachers who participated in the BioBlitz, and anyone who wishes to participate in this open project, to continue advancing in the knowledge of the biodiversity of this unique and well preserved holm oak. Look at all the observations of the Natusfera’s Monte de Boadilla project. Some of the observations made at the BioBlitz Monte de Boadilla. From left to right: Ameles sp. (CC BY-SA 3.0 Ana), Psilothrix sp. on a flower of Cistus ladanifer (CC BY-A 3.0 Ana), Serinus serinus (CC BY-NC 3.0 Miguel Ángel Corujo) and Tremella sp. (CC BY-NC 3.0 patent). This entry was posted in Proyectos destacados and tagged ARBA, BioBlitz, biodiversidad, biodiversity, ciencia ciudadana, citizen science, holm oak, Isaac Albéniz de Leganés, meadow, MediaLab Prado, Monte de Boadilla, Natusfera. Bookmark the permalink.